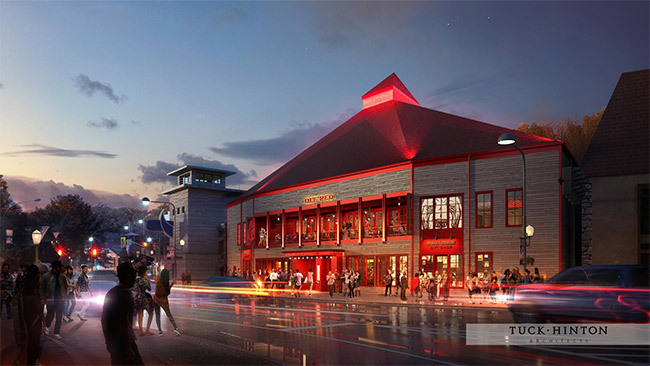 Ole Red Gatlinburg, the third Blake Shelton-inspired bar, restaurant and music venue owned and operated by Ryman Hospitality Properties, Inc., invites guests to ditch their winter blues and have a little fun at “Spring Blake,” a week-long grand opening celebration taking place March 11-17th. The venue will host multiple events throughout the week, including a grand opening concert with Blake Shelton. The fun kicks off on March 11th with daily live music beginning at 11:30 am from the Ole Red stage featuring some of the best bands from Nashville and around the Southeast. Ole Red will serve up their full, made-from-scratch menu, including signature items, such as the “Champagne of Fried Chicken,” and Gatlinburg-only specialties, like the “Ober Gatlin-burger,” plus Blake-approved cocktails and a great selection of local beers. The celebration continues with a “Spring Blake” scavenger hunt, in-venue giveaways and prizes, including the ultimate “Spring Blake” jackpot: a chance to see the man himself perform at Ole Red Gatlinburg on March 13th. Fans can join Blake and special guests The Swon Brothers for the March 13th private concert by entering the Ole Red Grand Opening Sweepstakes through February 15th; following Ole Red Gatlinburg on Twitter, Facebook and Instagram for chances to win; and listening for chances to win on local radio. A limited number of tickets will be offered for purchase through an online auction beginning February 15th. Proceeds from the auction will benefit the Gatlinburg-Pittman High School Music Program. At the end of the auction, the Ryman Hospitality Properties Foundation will match all proceeds raised from the online auction up to $25,000. Those who don’t win a coveted ticket to the grand opening performance can stream a portion of the concert live on Ole Red Gatlinburg’s Facebook page or at Ole Red Nashville and Ole Red Tishomingo where the “Spring Blake” party will be in full swing March 11-17th. Daily March 14-17th, Ole Red Gatlinburg will feature a Blake-approved lineup of performances from former contestants on NBC’s The Voice, including Lauren Duski on March 14th, Pryor Baird on March 15th, Red Marlow on March 16th and Emily Ann Roberts on March 17th. Visit Ol Red’s Gatlinburg’s website for venue hours and special event closures, menu items and the full, daily line-up of live music. Ole Red Gatlinburg is located at 511 Parkway, Gatlinburg, TN 37738. 🚨 GET EXCITED! !🚨 We are thrilled to announce our grand opening with a concert from @blakeshelton on Wednesday, March 13! Grab your friends and we'll see y'all during #SpringBlake!